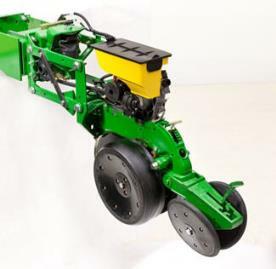 The tire contact drive for mechanical seed transmissions is a great fit for the mid-to-large planter operator concerned with quick transport capabilities, lower maintenance, and positive seed meter drives. 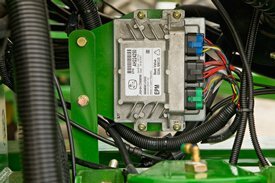 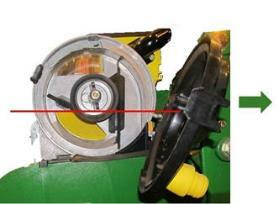 The tire contact drive system is a simple, reliable, and efficient way to power seed transmission and meters. 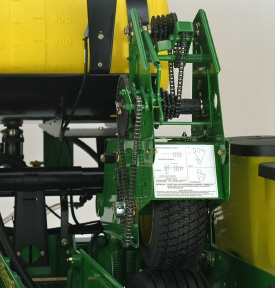 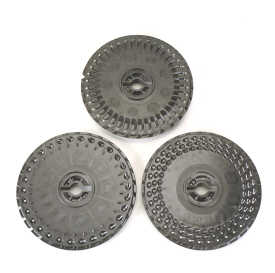 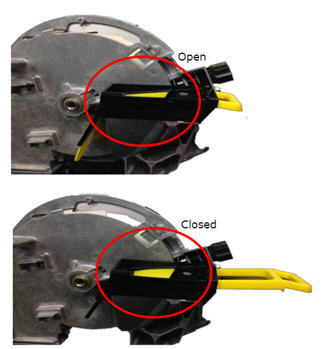 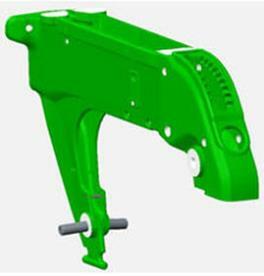 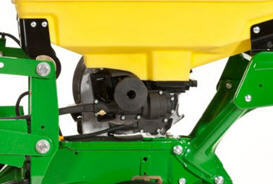 The tire contact system drives the seed transmission mounted above the inner planter ground drive tire. 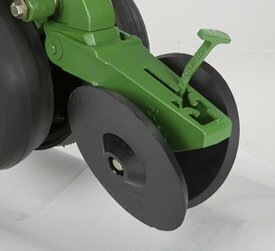 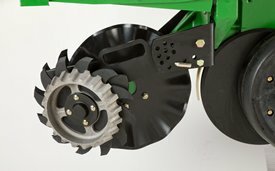 A turf tire engages the ground drive tire when the planter is lowered, automatically turning the seed transmission and seed meters. 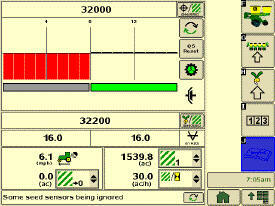 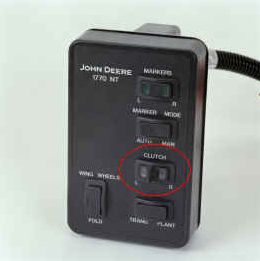 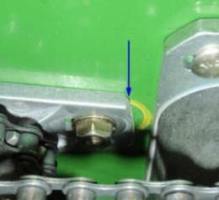 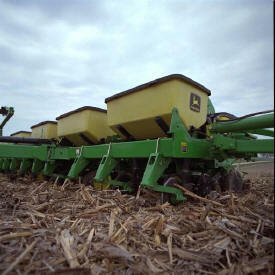 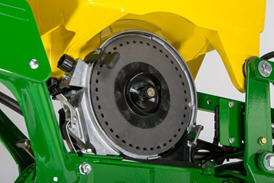 Automatic drive disconnect occurs when the planter is raised and the turf tire separates from the ground-engaging tire. 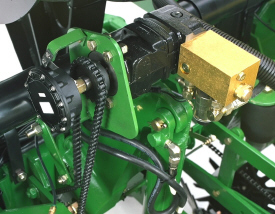 The system eliminates clutches, countershafts, and manual transport disconnects needed on direct ground drive systems. 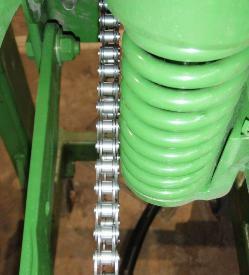 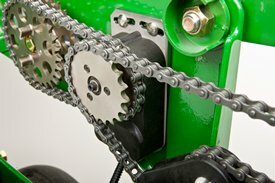 Drive chains and sprockets are moved up and out of the soil and residue zone for excellent reliability. 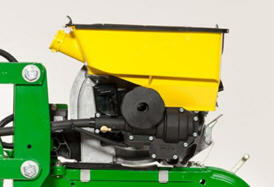 1765 8-Row drives have 207.3 kg (457 lb) of downforce. 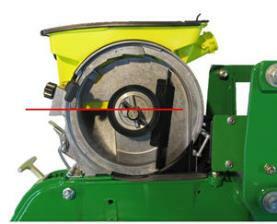 The 1765 model uses one rear-mounted seed transmission. 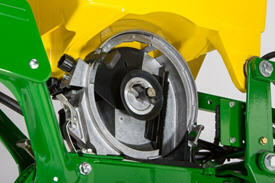 However, if the planter also has the fertilizer option, there is another rear-mounted transmission for the fertilizer drive. 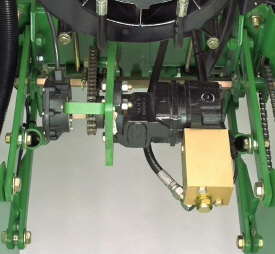 The 1785 Rigid Planters utilize one front-mounted seed transmission and if the planter is equipped with the liquid fertilizer option, another front-mounted transmission is utilized. 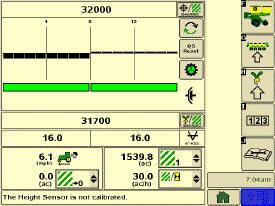 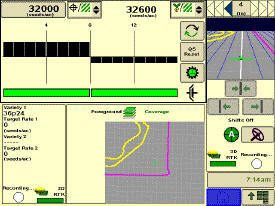 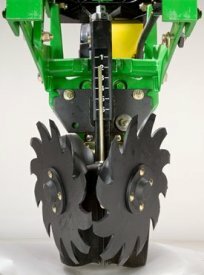 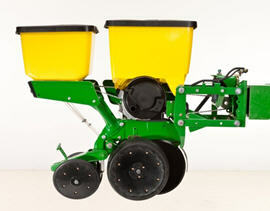 The 1775 12-Row Planter utilizes two rear-mounted seed transmissions. 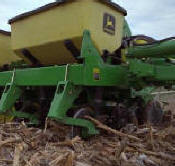 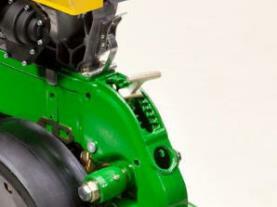 Another rear-mounted transmission is used if the planter has the fertilizer option.